Enesco has been producing Beatrix Potter giftware since gaining a licence in 1987. The range has grown in size, popularity and content due to faithful attention to her original style. Over the years our artists have captured the essence of Beatrix Potter’s lovable characters beautifully by bringing to life her original drawings, creating a delightful selection of figurines and giftware, which appeal to all fans of Beatrix Potter™. 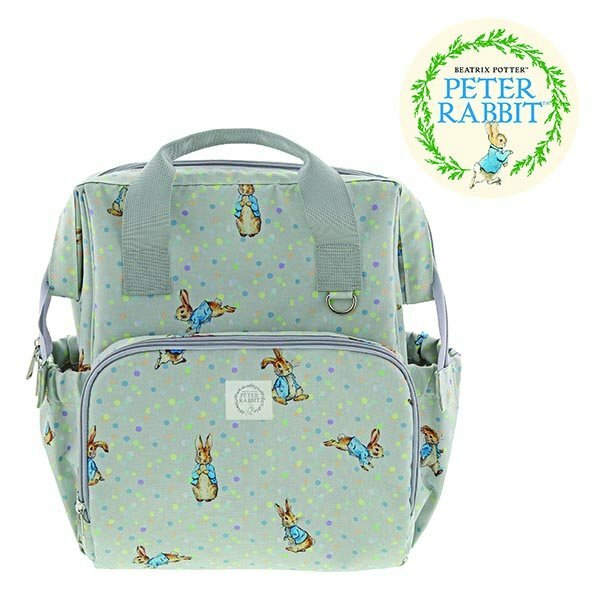 New for 2019 is the launch of our Peter Rabbit Baby Collection, featuring new and exclusive artwork — utilising original illustrations blended with new representations of Peter — with a theme of Come Rain or Shine. The encompassing collection features muslin squares, face cloths, bibs, and a hooded towel for baby — along with a changing mat, bag and backpack for mum. These will make being out and about as easy as possible, with clever storage solutions beautifully designed and executed. Following on from last year’s launch of toiletry items this January we have added a bath bomb and travel set — featuring the best sellers in a smaller wash bag friendly size — to the collection. Both feature the clean linen scent and we are proud to report that Mrs. Tiggy-Winkle™ is delighted! Our product offering as a whole includes figurines, nurseryware, money banks and decorations — all featuring the best-known characters — along with collections aimed at the young at heart among us featured product formats include scarves, candles, purses and bags to name a few. Take a little time to browse through what we have to offer — you may be surprised by what you find. In 2003, a collectors’ club was established — Friends of Peter Rabbit Club — which caters for Beatrix Potter™ fans of all ages and interests. Membership of the club now totals around 4,000 from all over the world. Members receive an exclusive free gift figurine with each year’s membership, with exclusive opportunities to purchase club figurines as well. Members will also receive the Hill Top Tales magazine twice a year, which has information on all aspects of Beatrix Potter’s life – you wouldn’t believe the range of her interests and work! Further to this, Hill Top Tales includes competitions; regular input from Warne — the publishers of Potter’s ‘little books’; what’s on 'Beatrix Potter-wise' around the country; and most importantly the thoughts, ideas and collections of our members. BEATRIX POTTER™ © Frederick Warne & Co., 2019. 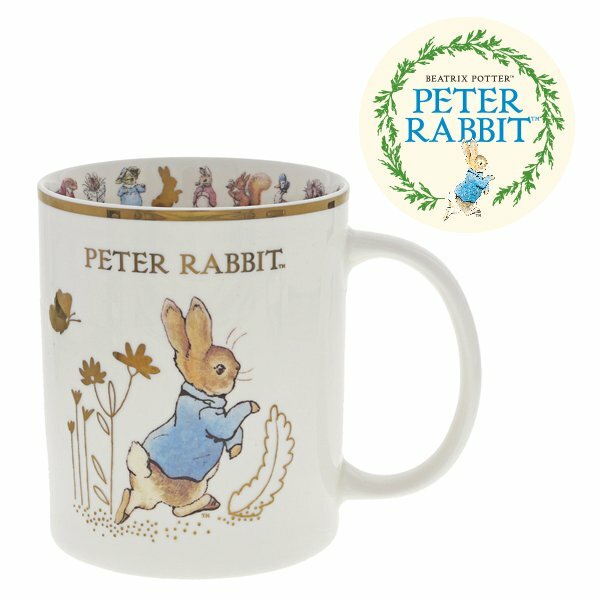 Contemporary gift and homeware retailer, Enesco, is proud to present a new and exciting concept to its licensed Beatrix Potter collection, through its exclusive ‘Mug of the Year’. 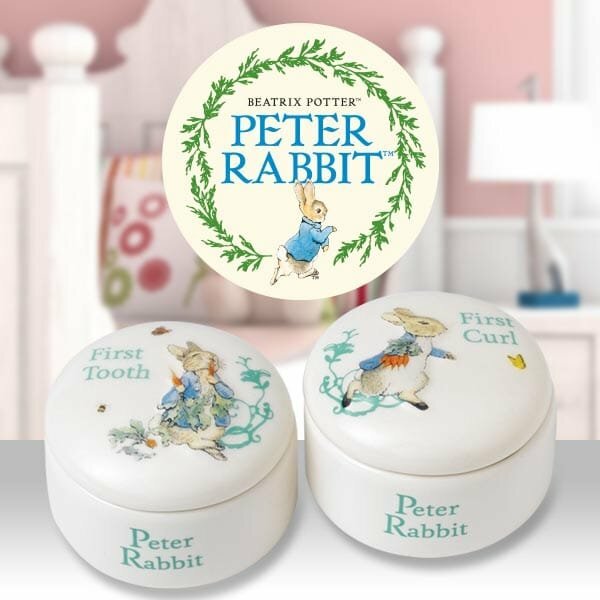 Enesco is proud to present its brand-new licensed Peter Rabbit Baby Collection. Having worked closely with Penguin to create the totally exclusive artwork, the new collection follows the theme ‘Come Rain or Shine’.